WE ARE COMMITTED TO CONTINUED EDUCATION OF FIRE SAFETY. A – Aim the nozzle, horn or hose at the base of the fire. S – Sweep from side to side at the base of the fire until it is out. • ACTIVATE the building’s alarm system or call 911. • ASSIST any person who is in immediate danger or incapable of exiting the building on their own. • Only after these two steps are completed should you ATTEMPT to extinguish the fire. Upon the customer’s approval, what we provide. How to determine when a Dry Chemical Fire Extinguisher will be due for its Six-Year Overhaul and Internal Inspection. 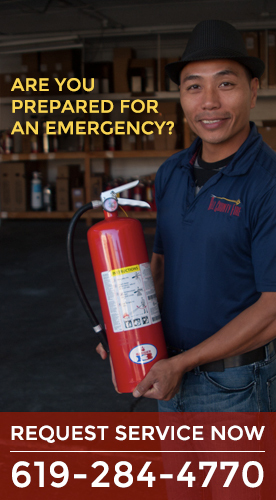 How to determine when a Dry Chemical Fire Extinguisher will be due for Hydrostatic Testing. 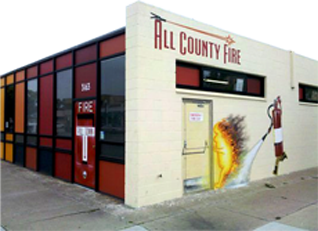 All County Fire is committed to continued education of fire safety. It is important that each person understand, not only how to use a fire extinguisher but what type, for how long and at what distance. Fire extinguishers are manufactured by class and combinations of classes. It is important that the class of fire extinguisher match the class of fire you are attempting to extinguish. Your instincts tell your it;s OK. The fire is too hot to get close to.